Millions of internet users watch online videos every day. Videos are powerful tools to deliver the message. 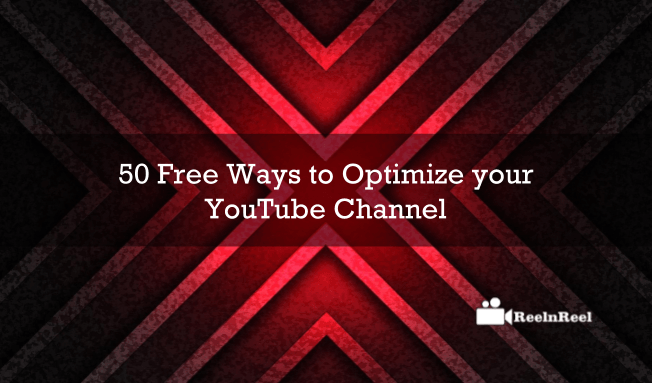 Videos increase the understanding of the products and YouTube Channel Optimization. YouTube is the biggest player for videos online. A Large number of video content is uploaded everyday on this platform. How to ensure that the videos are lost in the crowd? Optimizing the video YouTube channel is a way to ensure this. 1. Ensure that the name of the channel is memorable and short. 2. This helps the audience know what they can expect from the videos. 3. Channel name is different from channel URL. 4. Choose a channel icon. 5. The channel icon image should be high resolution and easily recognizable. 6. Make the channel visually appealing. 7. Ensure that the channel icon is also looking great on mobiles and other devices. 8. Use minimal text in the channel icon. 9. Upload a channel art that reflect the channel personality. Avoid using any brand logos. 10. Write a channel description. Write about the content you create, use the necessary keywords and upload schedule. 11. In the about tab, give the links to your official website, sales page, social account etc. 12. There is Features channel header on the channel page in other channels in which you are involved can be mentioned. 13. Enable the browser view and upload a channel trailer. 14. Let the channel trailer auto play. This helps to hook the viewers who are not subscribed to your channel. 15. In the channel trailer, request the audience to subscribe to your channel. 16. Organize your channel by adding sections. This makes exploring easy for the viewers. 17. Let the sections contain the playlists, channels or videos of your own or created by other YouTubers. 18. If your channel is one month only, have more than five hundred subscribers, has a channel art and channel icon, then you can customize your channel URL. 19. Get your YouTube channel verified. 20. Select the default video category. Category can be selected for every individual video manually also. 21. In the default video description field provide links to the website and social media accounts. 22. Add tags for the videos to increase monetization. 23. Use popular keywords related to your genre in tagging. Do not use tags that are not related to your video content. 24. Using Fan Finder is a way to grow the fan base at no cost. 25. Highlight your content with feature content option. You can features a single video or the playlist. 26. A great branding opportunity for the YouTubers is to add their logo as a watermark to their videos. 27. See that the clickable watermark leads the viewers to the channel page. 28. Add keywords to the channel. The keywords should describe the type of content. 29. Enable channel recommendations so that YouTube recommends your channel to viewers. 30. Allow ads on your videos by checking the checkbox option in advanced settings. 31. Create a video thumbnail that is compelling. 32. Verified channels can upload their own custom image. 33. Custom thumbnails should have high resolution and in the allowed formats such as JPG, GIF, BMP or PNG. 34. Include relevant keywords in the title of the videos. 35. See that the title of the video is not more than 66 characters. 36. The title should describe the content of the video but should not mislead the audience. 37. Do not forget to use the word video in the description. 38. See that the description of the video is unique. 39. Description should be around 800 words only. 40. Write the primary keywords in the beginning of the description. 41. Take the help of Google Trends to discover the most relevant keywords. 42. Keeping the channel active is very important. 43. Post videos regularly and respond to the comments of the audience. 44. For optimizing the videos and the YouTube channel, use annotations. 45. Annotations also are used to include strong call to action. 46. YouTube videos are found via search and it is important to optimize video metadata also. 47. It is a good idea to invest in paid media for promotion of the videos. 48. If the videos or longer, a nice addition to them is transcript. 49. Keep the playlist titles very short and specific. 50. Link your videos to other videos with annotations. YouTube videos are accessed most on mobile devices and so the videos must be optimized for small screen also. Keeping in mind the simple tips and best practices will help to reach more and more audience freely. Just launch of YouTube channel is not enough to reach the goal that you intended as a vlogger. The channel optimisation strategies that have mentioned in this article will drive you to the better path of reaching success. Don’t waste your time for searching all sources to get the tips just implement all these on your channel and let us find the difference.